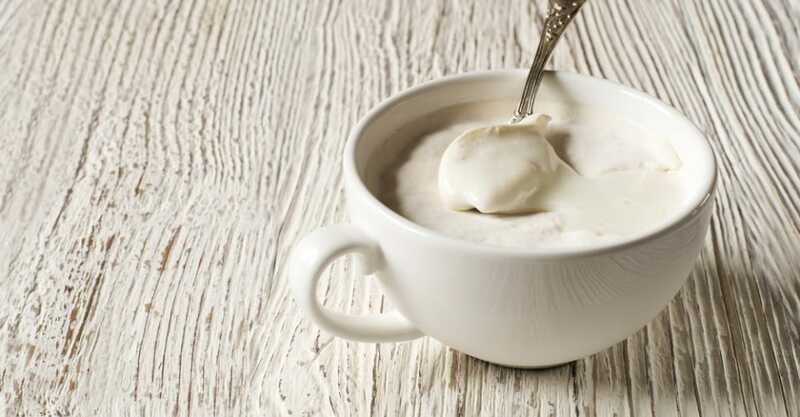 When most of us hear the word “probiotic,” the first thing we think is #yogurt. However, there is much more to #probiotics. There are actually more than 100,000 billion #bacteria, and more than 400 different types in our bodies. They generate metabolic activity, mainly in the colon but in the gut as well. Their intestinal functions include digesting #food, absorbing nutrients and helping prime our immune system to better fight infection. Interestingly enough, 70 percent of your immune system is actually in the digestive tract, along with good and bad bacteria. These “good” bacteria help our bodies function better. But illness, poor diet, stress, aging, infection by food poisoning and the use of medications can disturb the balance between beneficial and harmful bacteria. That’s where probiotics can help. The term, meaning “for life,” refers to friendly bacteria that serve a specific #health purpose. “Probiotics are products containing one or more live microbes in a concentration and formulation sufficient to provide a specific health benefit,” says Gregor Reid, Ph.D., M.B.A., professor of microbiology and immunology and surgery at the University of Western Ontario, Canada. While there are different reasons for taking various probiotics, by definition all should provide some health advantage, ranging from calming upset stomachs to preventing yeast infections and liver damage. Many of the live bacteria that are termed probiotics when found in foods and supplements do naturally live in our intestines. But because the term specifically refers to live bacteria added or ingested for a particular health benefit, those in our bodies naturally can’t technically be termed probiotics, says Mary Ellen Sanders, Ph.D., an industry consultant and president of the nonprofit International Scientific Association for Probiotics and Prebiotics. The whole idea behind taking probiotics is to help your body fight “bad” bacteria. Belief in the beneficial effects of probiotics is based on the knowledge that intestinal flora (harmless microorganisms) can protect humans against infection, and disturbance of this flora can increase susceptibility to infection. Probiotics are commonly used to alleviate intestinal disorders caused by a disruption of the normal flora in the intestinal tract (as a result of antibiotics, other medication, poor diet or surgery for example), which makes us more susceptible to disease. Probiotics can help bring back the balance and increase the amount of healthy bacteria. Do “healthy” people need to add probiotics to their diets? While people do not require probiotics to be healthy, there is mounting evidence that they can improve immune function, maintain normal GI function and prevent infection. Probiotics also have been shown to be effective in managing certain diseases and conditions such as lactose intolerance, diarrhea secondary to antibiotic use or E. coli infections, other gastrointestinal infections, yeast infections and lactose malabsorption due to chemotherapy. In addition, there is limited evidence suggesting that probiotics have cholesterol-lowering benefits and help to lower the risk of cancer. “However, more research is necessary to establish a firm basis for using probiotics for specific health benefits,” says Sanders. What products contain probiotic bacteria? “Foods containing probiotic bacteria are almost exclusively dairy products, capitalizing on the traditional association of lactic acid bacteria with fermented milk,” says Sanders. “While most major brands of yogurt contain bacteria added along with starter cultures for their probiotic effects, less than 1 percent of fluid milk products in the U.S. contain probiotic bacteria.” Another source of live bacteria is #kefir. Kefir, similar in taste and texture to yogurt, contains much more bacteria — yogurt typically has two or three strains, while kefir has 10. Are probiotic supplements as good as food sources? How many probiotics do I need to consume for a health effect? Although there is no official recommendation on average, you need 1 billion to 10 billion CFUs (“colony forming units”) to get purported health gains. How much probiotic bacteria are in the products I buy? Additionally, Consumer Reports looked at many of the yogurts and supplements and found that four of the 14 pill products had “no more than half of their claimed number of probiotics. Best supplements: Bio-K Plus Acidophilus /casei (liquid); Continental Natural Acidophilus Culture (liquid); Dannon DanActive Immunity (liquid); Twinlab Super Acidophilus (capsules). The good news is, most food products did live up to their claims. On the other hand, most food products do not indicate the level of viable bacteria. Dairy products such as milk with probiotics typically contain about 200 to 300 million per cup, whereas some contain levels as high as 10 billion bacteria per serving, such as Dannon’s DanActive. “Unfortunately, labels are riddled with wrong bacterial names and incorrect CFU numbers, and products are allowed to be called probiotics with no clinical trial evidence that they ever benefited anyone,” says Reid. “Generally the recommended time frame is daily, as probiotics do not persist,” says Sanders. 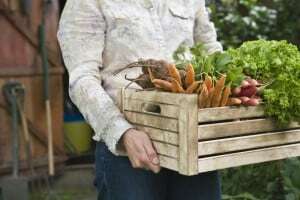 “Shelf life is about three to six weeks when refrigerated,” says Ian Rowland, Ph.D., a professor at the University of Ulster in the U.K.